To see Liz Gaze's Facebook Live tutorial on how to create the basket, click here. Instructions: Click here to view a larger photo of this project. Die cut 6 x the Gift of Love Box sides and trim the top two sections away, along with the tab on the now top section. Use the floral die piece and cut in the center of the square section of the 6 x diecut sides and adhere together. Adhere the base flaps and draw around the basket base on a piece of card and cut out. Adhere to the bottom of the basket. Cut a strip of card 2" x 11" long and use the Border Essentials Die to create the handle. Cut two strips 3/4" x 11" of paper from the paper pad and adhere to the handle. Adhere the handle to the basket. Cut 6 x die cuts to go on the flaps of the basket and glitter. Adhere to the basket with 3D foam pads. Cut 6 x 2 1/2" x 2 1/2" squares of paper to match the handle and again using clear cardstock. Adhere the clear card to each side of the basket and then again with the paper. 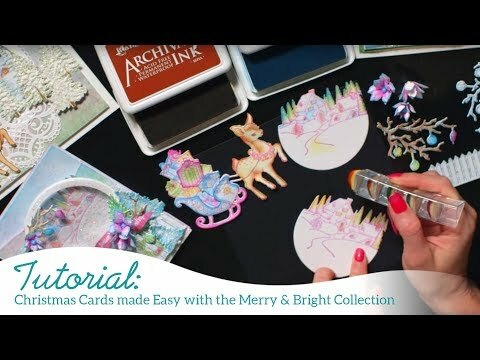 Stamp the Poinsettias on white cardstock with the red Geranium ink, color in with the Carnation Red, use the matching die and cut out, ink the edges with the Vermillion. Shape and add stamens to the center. Stamp the largest flower on white with the Olive ink, color in with the Leaf Green, cut out using the matching die, ink the edges with the Emerald Green and add flower to the enter. Add adhesive and glitter, adhere one on each end of the basket. Stamp the smaller poinsettias on white with the Red Geranium ink, color in with the Carnation Red, use the matching die and cut out, ink the edges with the Vermillion. Stamp the leaves on white with the Olive ink, color in with the Leaf Green, cut out using the matching die, ink the edges with the Emerald Green. 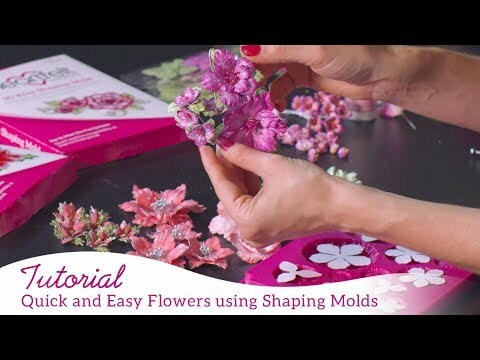 Place the petals and leaves in the flower mold and run through the die cut machine. 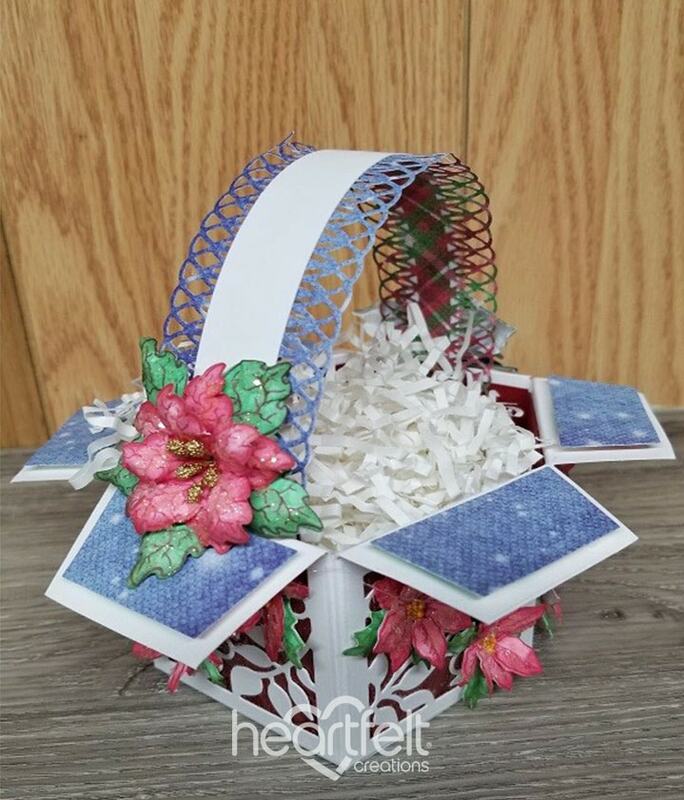 Assemble the leaves and flowers together, add adhesive and glitter, adhere on the basket sides on top of the flower that was on the center of the die as shown. To finish add prills to the center of the flowers.